As specialists in the arrangement of retailers insurance we provide instant on-line take away food shop insurance quotes from our panel of leading insurers in the UK. Comprehensive shop insurance packages at highly competitive premiums; all quotes are supplied with full details or premiums and policy cover information to assist you in meeting your business insurance requirements. What does take away food shop insurance cover? Business liability insurance providing you with the public liability, product liability and employers liability insurance that you require. Our on-line quote service provides you with a range of quotes from our panel of insurers and all quotes are provided with full details of quotations including premiums, policy terms and conditions and a policy wording to enable you to compare policies and make an informed decision on your shop insurance requirements. Our shop insurance team are on hand to assist you with any queries or to work with you to obtain our best terms for your take away food shop insurance. 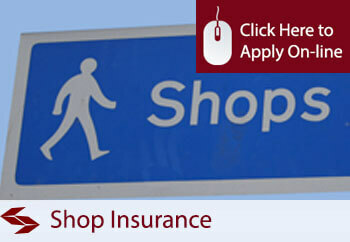 Apply on-line for instant quotes and cover, or call direct to discuss your requirements with our retail insurance team.